Most Indians are strict vegetarians, which also means they don’t eat eggs. But a colonial habit, that of omelettes for breakfast, has become a lasting tradition in one city in Rajasthan. Most Indians are strict vegetarians, which also means they don’t eat eggs. But a colonial habit, that of omelettes for breakfast, has become a lasting tradition in one city in Rajasthan – these days served up with a quirky twist. Jasvinder Seghal meets one of the city’s famous vendors. A cheese butter omelette is being cooked at Sanjay’s omelette stall in this busy market in Jaipur. 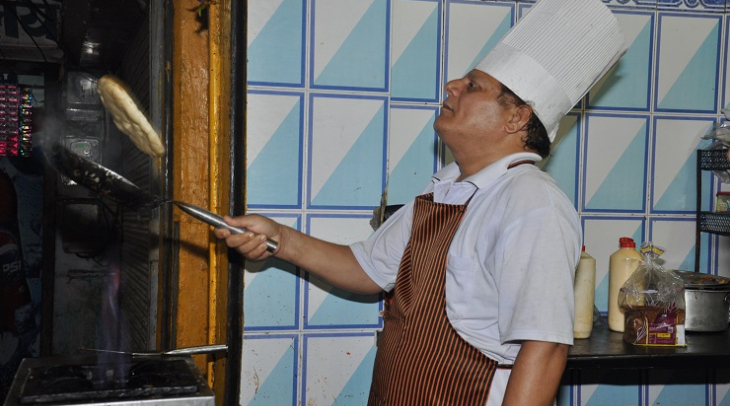 Fifty three-year-old Sanjay Sharma is the owner and chef. He’s been selling these treats for more than thirty years now. “In the past I used to sell about 30 omelettes a day, but things have changed and people have developed a taste for them,” says Sanjay. Sanjay says it was during the days of colonial rule that omelettes first started to be eaten in India. 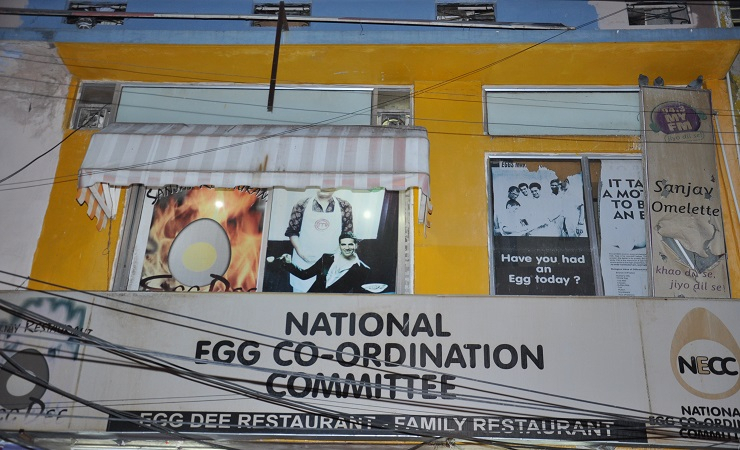 “During colonial rule breakfast came into existence and omelettes were an integral part of it. It’s a specialty that can be prepared within two minutes; it’s very nutritious, healthy and easy to cook,” Sanjay explains. In India a typical breakfast is usually parantha, or roti, flatbreads along with other vegetarian dishes. Thirty nine-year-old interior decorator Amit Soral is a loyal customer at Sanjay’s stall. His family is vegetarian and doesn’t eat eggs, but Amit loves them. He comes here every day to enjoy his favorite cuisine. “I have been coming here for the last 25 years. 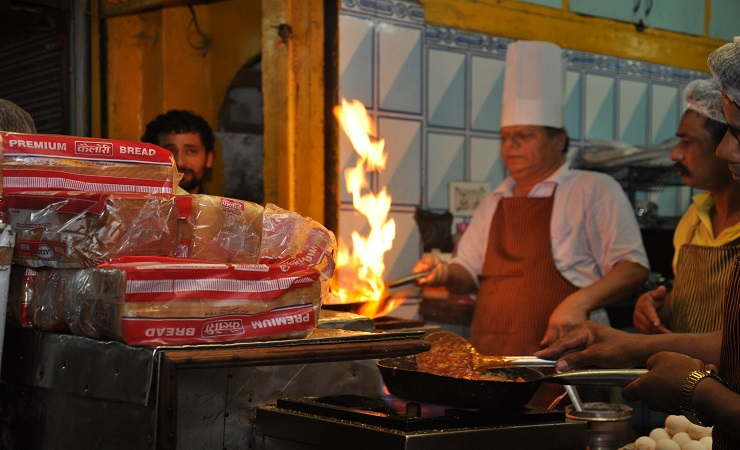 My mother doesn’t cook eggs so my father used to bring me here,” confesses Soral. Here in India omelettes have been adapted to local tastes – filled with chopped onions, green chilies and coriander. Saurabh Sharma is a well-known Indian historian who has studied traditional Indian foods. He says that before British rule omelettes were never part of the early Indus civilization. Sanjay cooks about 150 different types of omelettes but today he is busy experimenting with a new recipe. “My specialty is the Obama omelette, which is prepared with brown bread. It resembles Obama’s hairstyle. A white house of cheese is also incorporated in it. Now I am working on the Hillary omelette, which will be launched very soon,” Sanjay says. 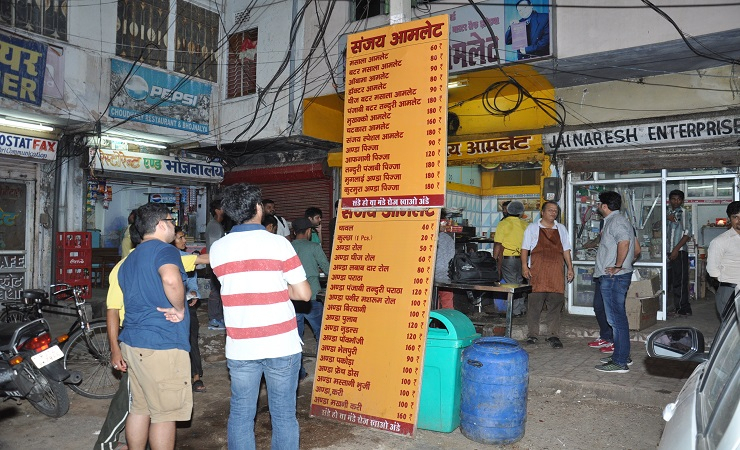 Fashion designer Radhika Sharma is a regular customer at Sanjay’s. “They are very unique which brings me daily over here,” says Radhika. 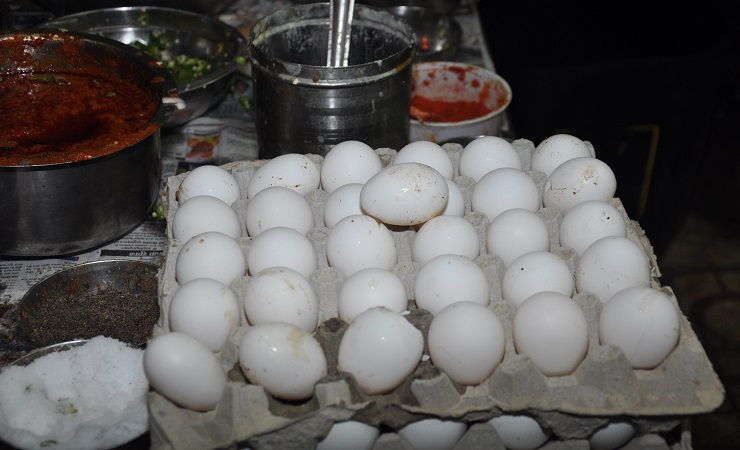 Eggs are today are now an integral part of Indian society.